Nonprofit Boards and their organizations still experience exponentially higher risk in their effectiveness and efficiency. I fundamentally and wholeheartedly believe that the world is a better place due to nonprofit organizations. Whether for scenarios involving social services, disaster relief & recovery, serving underprivileged portions of our population or simply furthering countless worthwhile causes, nonprofits have and continue to serve their purpose to elevate society. But not without their significant challenges. Namely, the effectiveness and efficiency of their Boards, which ultimately challenges the ongoing success and longevity of the organizations they serve. And the research supports this. Wow. All of these major shortcomings reside in foundational areas that define an effective and efficient Board. So, where should nonprofit organizations focus their efforts to right these wrongs? The answer in my opinion is surprisingly simple - implement formal Board structuring processes and governance utilized in the public and private sectors to build, evaluate and measure nonprofit Boards and their Directors. At the very least, start with a clear 'Sphere of Influence' and 'Planes of Congruence' exercise to ensure the depth and character of your Board. View their position as a true 'job' with responsibilities? Have leadership, Board Director, Board Advisor and/or C-Level experience? Know the organization's values, vision and mission by heart? Spend time with the organization's operations staff? Get involved in the organization above and beyond Board Director duties? Attend Board meetings in person? Lead or get involved in Board committees? Submit or contribute to a monthly or quarterly status report for their committee? Assist in setting Board and organization performance expectations? Notice how I didn't mention anything about the amount of revenue/donations a Board Director in a nonprofit can bring into the organization. This is not an oversight. Many times the nonprofit Director's ability to personally donate to the organization is the first deciding factor on their appointment to a nonprofit Board - and this is typically a big mistake. Where most nonprofits initially fail is in their strategy as well as their operations and this needs to be the paramount consideration of Board Director expertise. Nonprofit organizations incorporate their maximum donation outreach potential through their strategy, not individual Board 'heroes' who write a check yearly. Yes, a common additional requirement of nonprofit Board directorship includes the ability to donate to the organization, but I will take a dedicated and disciplined nonprofit Board Member with a significant leverageable network over a 'hero' Board Member any day of the week. 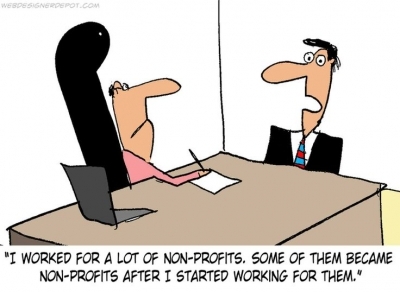 What will you consider when evaluating or building your Nonprofit Board? Reach out directly to Mark A. Pfister to discuss your Nonprofit Board's strategy.